Sapphire today launched its Radeon HD 7950 lineup, consisting of two models, the base-model single-fan, and a dual-fan OC model. The base-model sticks to AMD reference clock speeds of 800 MHz core with 1250 MHz (5.00 GHz GDDR5 effective) memory, while the OC model features clock speeds of 900 MHz core and 1250 MHz (5.00 GHz GDDR5 effective) memory. The base-model features a simple single-fan heatsink without heat pipes, while the OC model uses a more complex aluminum fin-array heatsink to which heat is fed by copper heat pipes, ventilated by two fans. 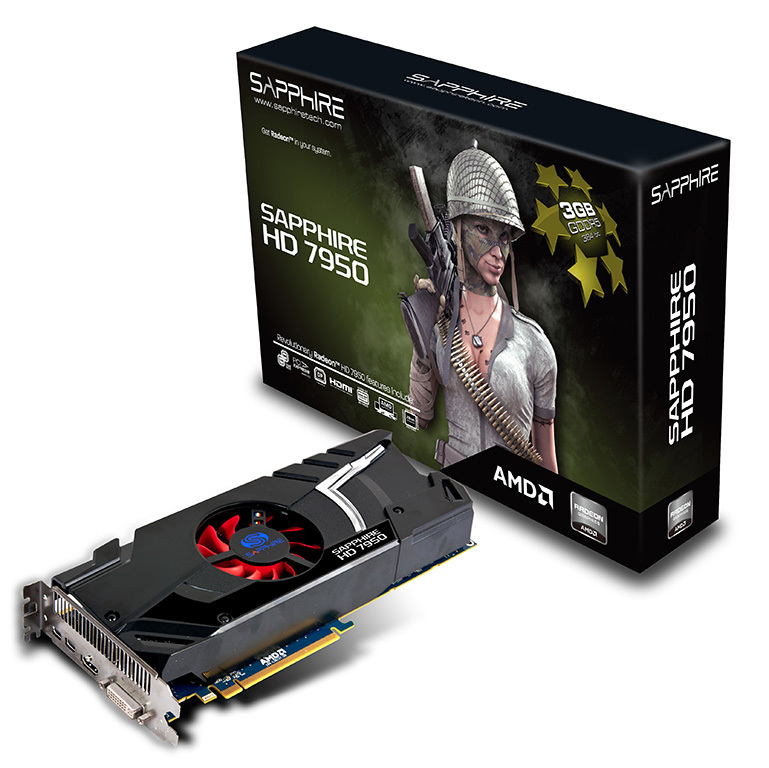 Interestingly, Sapphire did not release an AMD reference design model. The base model is expected to be priced at US $449, and the OC model about $20 more.